The Chevy Avalanche first debuted in 2002 and has continued to be a success ever since. Although the Chevy Avalanche will no longer be in production after this year, you will be able to continue to find the parts and accessories you are looking for for your Chevy Avalanche whether it is a 2002 or the 2013 Black Diamond. 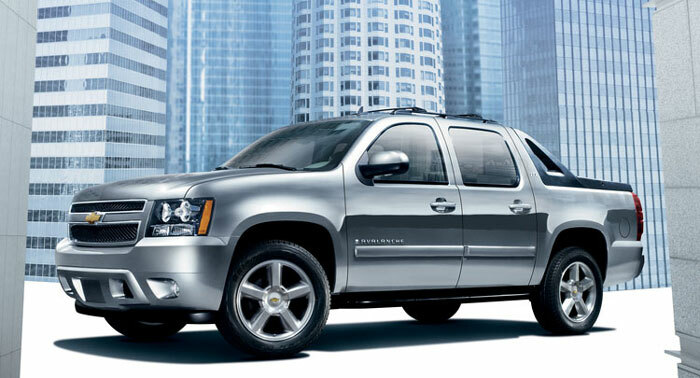 Click Here to Browse 2002 Parts for the Chevy Avalanche or Here for 2013 Chevy Avalanche Parts. Whether you enjoy the SUV aspects or the truck aspects of your Chevy Avalanche, we understand that you love your Avalanche and want only the best parts for your vehicle. GM-Car-Parts.com offers only genuine GM OEM parts and accessories. Keep your Avalanche looking and running like new with parts from GM-Car-Parts.com. If you are looking for other years for the Chevy Avalanche on GM-Car-Parts.com, click the link below to begin searching our catalog.